Are you looking for a sneaker that will give you a nice getup while not losing the glamour of the Jordan Brand aura? If you are, then the new Jordan After Game II suits what you are looking for and it is also expected to create a lot of buzz like how the Jordan After Game made waves last year. 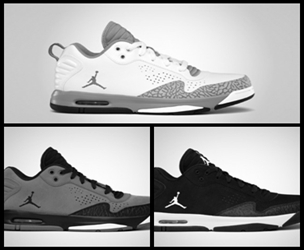 The Jordan After Game II, which sports the elephant print of the Air Jordan 3 along with a Max Air cushioned heel and ventilated upper, will be released in White/Stealth-Black, Black/White, and Cool Grey/Black-White colorway this February. All three colorways will give you your money’s worth!